Here’s a great paragraph on why economic democracy – giving people control and ownership of businesses – is a key way of creating greater equality. 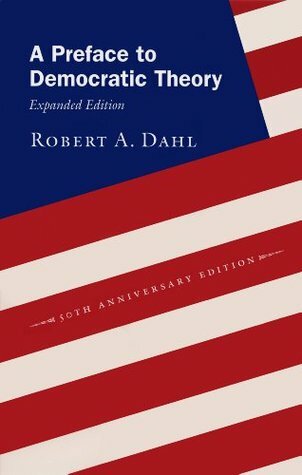 Most interestingly, this is from Robert Dahl, a prominent democratic theorist whose big idea was the need for polyarchy rather than democracy, by which he means elites competing with one another for votes based on different interest groups and positions – a situation not that dissimilar from what we have now. Hardly the radical then. Are there spheres of life that co-operatives, as businesses, shouldn’t operate in? Met with near-universal acclaim, Michael Sandel’s latest book, What Money can’t Buy: the Moral Limit of Markets, expresses a widely shared concern that the market is invading all areas of life. Economics, previously restricted to employment and industry, has over the last thirty years been seen as a way for organising everything from school life to social life. Incentives for kids to read, the purchase of bodily organs, paying people to be sterilised – these and countless others examples show how the market is creeping into everyday life. Not only does this create unfairness, argues Sandel, where those with more money are able to live more happily and comfortably than others; it also corrupts important values like education and the human body by putting a price on them. What does this have to do with co-operatives? Co-operatives are businesses that have social responsibility, equality and concern for the community at their heart. It is these values that have led co-operatives through history to take a lead on big moral issues of the day: working hours and gender equality in the early twentieth century, animal testing and fair trade in the late twentieth century. Arguably, the marketisation of everyday life is one of the big issues of our day. As such, it’s something co-operatives need to address as individual businesses and, ideally, as a movement. If co-operatives offer an alternative to conventional profit-driven businesses, how do co-operatives distinguish themselves in the arena of the commercialisation of everyday life? Is there some kind of principle that determines whether co-operatives should or should not do business in certain areas? How would we determine whether there are certain areas that co-operatives should or should not touch? This issue is most alive in the area of public services. Co-operatives sometimes talk of going into public services to deliver a more innovative, responsive service that will better serve the users. But they are also commercial organisations and, by working in areas previously to some extent immune from commercial pressures, they are actively introducing a market into them. I know there are arguments to be had here. Points to be made on both sides. Nuances to be discussed. But the point is, if co-operatives are businesses with a concern for the community there needs to be debate and a decision reached; co-operatives should not just drift into commercialising public goods simply because it’s a new market that could reap financial benefits for the business. The issue of corrupting important values is also alive in relation to advertising. Are there certain areas where co-operatives should not market and advertise their products? Schools and education? Social networking sites aimed at younger people? Advertising based on intrusive personal data? Again, there is no definitive list, but there are important decisions to be made about what advertising is acceptable and what is not. Without the debate, co-operatives may drift into advertising that commercialises important public goods against their best intentions. It is businesses that are leading the way in commercialising everyday life. It should be the most socially aware businesses, co-operatives, that are leading the debate about where the moral limits of the market lie. According to today’s quarterly announcement on economic growth the UK economy has grown by 0.8%. Cue the usual debate: Are we pulling out of the financial crisis now? Is the government getting it right, or still holding us back? Are people spending again? Is it because of exports, holiday season, better weather? Can business owners feel more confident? The usual debate, though, obscures the important questions we should be asking. A focus on growing national GDP might have some positive effects (although there’s an argument to be had there) but there’s much more that we’d like to see growing in our economy beyond GDP. Are people getting a share of the wealth generated? Do people have any control over the businesses? Do people have decent jobs? Is the economy working for the majority, or just a small group? So perhaps, alongside the quarterly growth measure, we should have some other kind of alternative growth index: one that tracks how widely the benefits of growth are spread in the UK. This is just a starter. The point is, if you were to combine these, you would get a sense of whether or not the share of ownership and wealth in the UK is growing. And that would be a far more meaningful form of growth to measure in the economy. What would happen if Vodafone was a mutual, owned by everyday people rather than shareholder investors? Vodaphone announced recently that it was selling its 45% stake in the US mobile company, Verizon Wireless, for over £80 billion. With much praise in the press, Vodaphone said that £66 billion of the sale will go to its shareholders. With nearly 50%of its shareholders in the UK, this will give a much-needed boost to the UK economy, equivalent to around 2% of GDP and some in the press said, akin to quantitative easing. That’s a lot of money, no doubt, and it shows the ability of businesses to generate and distribute wealth. The thing is, though, over 75% of Vodafone’s shares are held by ten investment institutions. So only a small amount of money will go into the pockets of real people or into the economy in any meaningful sense. Most of the pay-out will be re-invested in the markets with little tangible impact for economic wellbeing and the wider economy. If it was a mutual things would be different. If Vodafone were owned by its 19.3 million UK customers, rather than shareholders, each customer owner would get around £3,500, giving them a significant chunk of money. If Vodafone were owned by its 84,000 staff, the share each would receive would be considerably larger. Not only would a mutually owned Vodafone put money in people’s pockets and boost the economy, it would share the wealth generated by the business amongst around 40% of the UK adult population. And that’s without even mentioning tax. Which, it turns out, Vodafone will pay very little of because of its clever tax arrangements. But that’s a different story.